The UN is calling for a green paradigm shift, which includes a complete rethink of how our environment is affected by market forces. According to a report by UNEP – the UN Environment Program – an investment of about US$1.3 trillion (which is equivalent to roughly 2 percent of the global GDP) into key commercial sectors will make a significant contribution to a resource-efficient, low-carbon, green world economy. This green shift being called for by the UN is due to transform the green investment scheme of things quite radically for the decades to come. 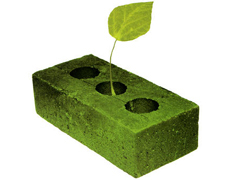 Billions of dollars in investment will be pumped into various ‘green’ projects around the world. The majority of the global capital used to be poured into fossil fuels and property, but very little was put into energy efficiency, renewable energy, sustainable agriculture, public transportation, water and land conservation, and ecosystem protection. The new green paradigm proposed by the UN is set to change all this. The UN is urging governments around the globe to pass new legislation, which will ensure investment into environmentally friendly strategies and sustainable development. The UN insists that such legislation will have nothing to do with right-wing or left-wing politics. The UNEP report claims that a green economy has little to do with politics, as the green shift is relevant to all countries, regardless of whether they are market or state led. One key focus in the new green paradigm is the agriculture sector. The farming practices currently in place contribute to over 13 percent of the greenhouse gas effect and consume over 70 percent of the freshwater resources around the world. According to the UN, these agricultural practices are also responsible for 3 to 5 million cases of poisoning by pesticides, which, in turn, leads to 40,000 deaths annually. UNEP claims that the new investments into green agriculture would increase global crop yields by 2050. Public transport is another big one for the UN green shift. Investment in this sector often yields economic benefits that can equal almost double the original investment. One example is sub-Saharan Africa, where reducing the content of sulfur in the transport fuels could save significant health care costs and other economic costs of up to $980 million annually. Another major sector that needs to be more green, according to the UN, is the construction sector. This sector is currently responsible for consuming about 70 percent of all global resources and about 12 percent of freshwater resources. The building sector’s climate footprint is expected to nearly double by 2030. UNEP is urging for sustainable building standards to be enforced, which will be supported by fiscal and economic incentives. Although it is still unclear how the governments around the world will react to the green paradigm proposed by the UN, the UNEP report is still projected to have a positive impact on green investment around the world.